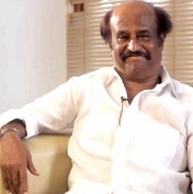 Rajini's advice finds a challenger ! Behindwoods brings you the Top 10 songs of the week (May 24th – May 30th 2014). Behindwoods Presents The Top 10 Songs Of The Week (April 19th – April 25th 2014). Behindwoods Presents The Top 10 Songs Of The Week (April 5th – April 11th 2014). People looking for online information on Kochadaiiyaan, Top 10 songs, Yaan will find this news story useful.